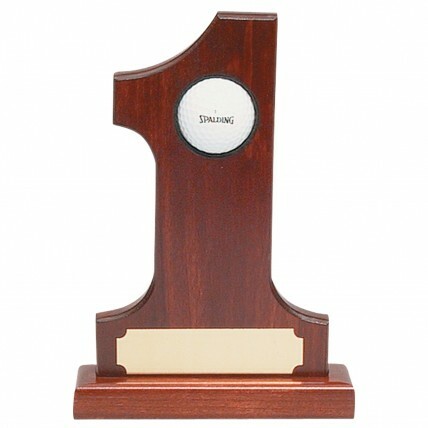 Display your "Hole in One" golf ball plaque with pride. This solid wood Hole-in-One Golf Ball Trophy has a place for your commemorative hole-in-one golf ball. The beautiful golf award rosewood finish includes FREE professional engraving on black brass plate. Hole-in-One Golf Award is approximately 9" tall x 6" wide.